Growing up, going through a few science/engineering colleges, and working in the energy engineering field for 30 years, one might think that I would have a very good grasp of nuclear power, radiation, and THE RISKS related to radiation. Unless of course, there was a system in place to keep THE RISKS hidden in plain site. 3) But the risks had always been obscured by "the wrong question". The risks have been obscured by an excellent lie that somehow the nuclear industry had foisted on the public, even the universities. The lie is that the only risk of radiation is in causing cancer. And further, that radiation takes a long time to cause cancer, therefore it is not something you need to be concerned with now. 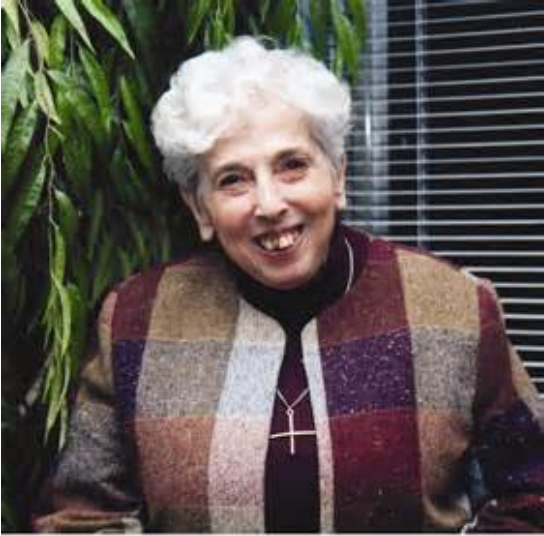 I wasn't aware until today that Dr. Rosalie Bertell had died last year. She fought to expose these lies of nuclear for over 40 years. Interesting also that she was a Nun like that 82 year old Nun who broke into the nuclear storage facility and is now being an activist in jail. Dr. Bertell did huge studies on radiation risks due to X-rays and it's effects on people. She found in the data, not just cancer, but also other disease, and she worked it into an accelerated aging process. So the Question of "How Much Cancer Does Radiation Cause" is the WRONG QUESTION. How much weakening of your immune system does radiation cause, how much other disease does radiation cause, how much lower energy and confused thinking does radiation cause, what level of lower quality of life through all these factors does radiation cause? Radiation ages you faster. Radiation also weakens us, while at the same time, putting us under more stress. That's a wicked one-two punch. 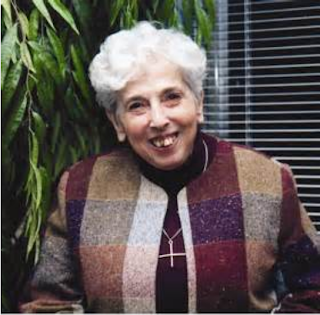 From this link, Rosalie Bertell kept up her activism into the last years of her life. Let us celebrate that life. She died June 14, 2012, 15 months after Fukushima started. Interviewer: I think you did a lot of research about the radiation, even when it is a low radiation where usually it is said: “Don’t worry, no problem at all”. What have you found out about the effects of low radiation in the long run? Bertell: Well, my background is as a researcher. And I started by studying the effects of medical diagnostics x-ray, dental x-ray and chest x-ray. We had a huge population that was followed over three years. So we had about 64 million person years in the study, it is very big. If you have a big population like that and you have measurable x-ray exposures, you can see what happens in the population. I am coming from looking at medical x-rays, and then seeing environmental pollution as bigger. With many other researchers studied the atomic bomb and they go down to these low levels and I said: Oh it´s not anything! So a lot depends on your perspective. So when you look at a large population and you start saying and you ask what happens when they were exposed to radiation, I think generally the question has been wrong. People ask: How many cancers does it cost. I don’t think that is the answer. Because if you look at live in general, the most obvious thing is we grow old. And we grow old in a kind of systematic way and even the cancers are old age diseases. So what I did was to change the question. And I said: How much medical x-ray would you need to be exposed to so that you get the equivalent of one year of natural aging. That is a very different research question. In order to measure natural aging I use the non-lymphatic leukemia. They go up in a large population like compound interest, ranging from about age 15 every year there is a 3% to 4 % increase in the rate of the non-lymphatic leukemia. It is just when you have money in the bank that interest is not very big when you are 16 or 20 years old, but by the time you get to 60 that is a large amount of money, it is also a large rate of this cancer. That is why they come at the end. So I used that as my measuring stick and asked: how much medical x-ray would be the equivalent? I actually measured the aging effect of having dental x-rays or chest x-ray. What was surprising to me: It’s the same amount as you would get background in a year. So it didn’t make any difference if you got that radiation exposure very fast, because you got a chest x-ray or whether you had it slowly over a year. You still in terms of vulnerability you were aged. What that means then practically: If you are in your 20s or 30s and you have an accident and need extensive x-rays probably you won’t feel much in terms of the difference. However if you are vulnerable like 60, 70 years old, the annual level of what you experience, you will experience more vulnerability from the x-rays because it is a percentage and a higher rate if incidents. So you are more vulnerable as you get older. And so I started looking at young people who got leukemia and I mean the cases under 45 years of age. And I found within certain groups they are something like six times as likely to get leukemia in that younger age group. And if you have young people with things like diabetes arthritis, often we associate them with old age. There it is 12 times as likely to be in a young group to have leukemia. So there are some signals to us that a person is prematurely aged and those people are more vulnerable to radiation exposure. It’s like they have already moved further on the list. And it’s not exactly medical x-ray, because for example with people who have heart-disease, some are treated more aggressively with respect to x-ray. Some people with heart-disease are x-rayed every year. Other have an x-ray may be five or six years and it was the once who had the x-rays more frequently that came up with the leukaemia. So I started moving people at the age line according to their own personal record of medical diagnostic x-ray. And it explains very many biological phenomena. There seems to be a whole lot of aging processes connected with this. 4b354) One of the most remarkable things is very often in radiation studies that men and women radiation measurements are different. I put them on the exposure age which was your ordinary age plus your medical exposure. When I did them with exposure age many women were the same and I found that it had much to do with the cultural difference in the use of x-rays. Many young men had x-rays because of sports. They had all these sport injuries. Women don’t start to get x-rays until they are pregnant. And then it is mostly dental. And then you get to the midlife-crisis. So where is a difference in the way we treat men and women and boys and girls with x-rays. Interviewer: Could this relate also to this kind of radioactive radiation which we have through atomic testing or Chernobyl? Bertell: When we get into the nuclear industry whether it is uranium mining or milling or the reactors or use of weapons or even the radioactive waste, you are into particular radiation which we can either breathe in or take in in water and food. It can stay in the body and differentially expose some organs and not other organs. So, you get these small amounts of radiation operating in the body, and you get what I would call „differential aging“. So many of the problems we see come from who long this material stays in the body and where it goes. Interviewer: So would you say these general reactions of the governments if there is any accident that there is no danger for the citizens, that this is basically wrong? Bertell: It is basically wrong. It is basically wrong because this particles release energy. The DNA that carries all your genetic material or the RNA which are the messenger molecules which run our body, which make our body work. So we have to ask: how much energy will it take to break them? It only takes 6 to 10 electron-volts of energy to break these big molecules. If you take something like uranium, which is not considered very radioactive, just one atom and one event releasing an alpha-particle is over 4 million electron-volts. You cannot release that in tissue that is living and not do damage. So when you talk probabilities, you are moving from the fact that you break DNA, you break RNA, you can destroy the membrane of a cell, you can break things like the mitochondria that can do the energy of the cell. You can say, we do not care about all the damage, we only care if this damage leads to a fatal cancer. So that is the only one will count. You can start making the probability smaller if you make the end point more particular and say: I don´t care if I get diabetes, I don´t care if my immune system is down, I don´t care for all these other things. Interviewer: Iraq DU (Depleted Uranium). Can you say something about DU in weapons as they were used during the Iraq war? Bertell: Depleted uranium is the waste from the uranium enrichment process, which is a process needed both for a nuclear reactor and for nuclear weapons. In term for the United States the greatest amount of waste is depleted uranium. If it is radioactive, it requires a licence to be able to even handle it. And when they do the tests of these weapons in the United States they do it in a superbox, which is totally sealed, in the same way they would experiment with biological warfare, chemical warfare agents. So it is a level for high protection for even to test it. It is chemical warfare, because uranium is a heavy metal, a very toxic heavy metal, and it is also radiological warfare, because these things are radioactive. Something special happens to it in the field. It is not just like radioactive dust in a mine or a mill. Because if you put it in a bullet or a missile and it hits the target this friction is enough to set it on fire and it goes to very high temperature. What happens is it forms an aerosol, which is ceramic or glass. It is like pottery and putting it in an oven it becomes ceramic. So what you have are very small particles of glass which are radioactive, which can be breathed, which are light, so they can move a great distance from the point of impact. It is easily measured 40 kilometers from impact. Because of being glass they are highly insoluble in water and that is very important, because it means they stay in the body longer. To understand that: If you sit in the sun for 15 minutes is not same as if you sit there for 12 hours. So if you take very soluble uranium it can pass through the body in 12 hours and be gone. Some of the more insoluble may take to years. But this stuff looks like it is taking 10 years or more. So right now the veterans from the gulf war – they were exposed in 1991, this is 1999 (in the research) and they are still excreting between 4 and 5 microgram of this depleted uranium every day in urine. That is totally unacceptable. It is no wonder they have medical problems. It does damage to the blood, the bone, the lever, the spleen, the lymph-knots, the kidney. You got this material which is radioactive inside the body for nine years, ten years. That is why you are dealing with such a massive and such a mysterious kind of medical syndrome. What they like about the uranium is it is free. They get it free because it is radioactive waste. And it saves the company money because they would have to properly keep it away from the biosphere. They like it because it is free. (…) 600) It is very much like landmines, because it will continue to kill long after the war is over. It differentially will kill the women and the children, because women have high risk tissue, breast and uterine tissue which are more radiation sensitive. Children are growing so they incorporate more in bones and will have the long term cancer effects. It is also a violation of the international law because it has very broad pollution effect that will go across national boundaries. It also makes the „precision-bombing“ lutecrice (ridiculous?). It is not precision bombing. And I think it also undermines NATO’s claim of this being a humanitarian war, because what they are doing it terms of poisoning the land and the people and the water and the food is certainly not humanitarian. So it is a complete contradiction to everything they claim to be standing for. I understand from international lawyers that we do not even need a new convention for it, it is already condemned under international law. The opinion of the human rights tribunal in Geneva (it is in Strasbourg) is that it is a weapon of „mass and indiscriminate destruction and therefore it is unlawful“. The United Nations has appointed a reporter for this issue and they are going to present their brief in August this summer. The World Health Organization is trying to set up an Investigative Committee to look at Iraq´s claim, because they now have six times the rate of childhood cancer and some of the Iraqi Veterans, that were exposed now have between five and six times the lymphomia and leukemia rate of veterans that where not exposed. So the World Health Organization has asked for funding and volunteers and wants to do a three year study in Iraq. All of that supportive information is not in, but it is already clear that it violates the international laws and it certainly violates the public relations material coming out on this war. Interviewer: …Severe consequence for future generations? Bertell: It will have consequences. I have done a lot of work on the Marshall Islands where they got the fallout from the weapon testing. And the Rongalap people are people that are dying out, that whole clan. Bertell: It increases infertility and inability to have children. They went for about five years without even being able to get pregnant. Then they started having spontaneous abortions, what they call jelly-fish-babies. It is a pregnancy of something like a tumour, a child is not formed. It is a molar pregnancy. Then they started having deformed birth. But the birth rate is dramatically down at this whole clan of people and there next generation is physically less fit. Their birth rate is down, they die younger, in the 30s and 40s. So it is obvious that this whole line of people is dying, it is not going to survive. What I think we are doing is that our generation is making a decision on how many future generations there will be. How much in shorted depends on how careless we are. So we already shortened future generations because whenever you introduce genetic defect then this line will eventually die out. But some will go two generations, some will go seven generation. When you are talking about constant low radiation exposure, what you are doing is introducing mistakes into the gene-pool. And those mistakes will eventually turn up by killing that line, that cell line, that species line. The amount of damage determines whether this happens in two generations or in seven generations or 10 generations. So what we are doing by introducing more mistakes into the DNA or the Gene pool is we are shortening the number of generations that will be viable on the planet. We have shortened the number of generations that will follow us. We have shortened that already. So we reduced the viability of living systems on this planet, whether it can recover or not. We don’t have any outside source to get new DNA. So have the DNA we have, whoever will live on this planet in the future is present right now in the DNA. So if we damage it we don’t have another place to get it. There will be no living thing on earth in the future that is not present now in a seed, in a sperm and the ovum of all living plants and animals. So it is all here now. It is not going to come from Mars or somewhere. Living things come from living things. So we carry this very precious seed for the future. And when you damage it you do two things. You produce a less viable harmonized organism with the environment; at the same time we are leaving the toxic and radioactive waste around. So you are going to have a more hazardous environment and a less capable organism. That is a death syndrome for the species, not only for the individual. It is going to be harder to live. And the body will be less able to take stress and you are increasing the stress at the same time. We are responsible for what we turn over to the next generation. It is amazing to me because I am the daughter of people that came from Europe, migrated to Canada and the United States for a better life for their children. And it seems that our generation does not care for the future. It is not our heritage. Our heritage was to give something better to our children, than we received. And we seem not to care. I find these very strange and I think most of our grandparents would turn over in their graves, if they would know what we are doing. Yes we certainly have to chance our heads and there are very good ways to carry this message. I think we even need a legal protection. We are thinking in terms of a „Seven Generations Law“, which means that everything that is passed through legislation, you have to answer the question what is the impact of this to our great grandchildren´s great grandchildren. You have to be asked an answer this question before you take any major planning or major changes or major laws. It is the North American indigenous peoples´ rule that it has to (be) safe for grandchildren´s grandchildren. Otherwise it is not acceptable. There is no real protection from it but you can reduce the effects by some things. Certainly stay in the house with windows closed during these bombing episodes and as long afterwards as possible. But your main concern will be getting it through the food chain. They are same key-leading agents. They take inorganic material out of living tissues. One very simple key-leading agent and a mild one is distilled water. You can use distilled water to cook your vegetables. If there were any uranium in the vegetables it will go out with the liquid. You can also drink the distilled water instead of either bottled or filtered or regular water. Distilled water will do the same thing in the body. It will tend to take out the unwanted inorganic chemicals. Another thing that available generally is „spirulina“, which is a blue-green algae you can usually get in a health-food-store. That is also mild key-leading agent and will help to rid the body of some of these toxins, included the depleted uranium. Or try to get rid of it through sweat respiration: Saunas. If you get it out through the skin you save the kidneys. The idea is to get it out of the tissue and out of the blood and then out of the body instead of going back into storage. We need to learn to get along with each other, because we live on a small planet. If we fight over it nobody is going to have it. Another thing is: We are straining the natural ability of the earth to generate itself. The earth can usually take it back within a year. But when we measure what we now take out (as) resources (fish, food, iron, coal, oil), all these resources which we take for our lifestyle. We are now taking out about 1.33 times what the earth can replenish in a year. So we are running an ecological deficit. In 1992 we were at 1.25, so is going up. People worry about financial deficit, but that is nothing compared to an ecological deficit. It means constantly reducing the carrying power of the globe. At the same time we are increasing in the number of people. If we don’t do something this will be a global dimension crisis. That´s the reason to say: the most important thing to do is to eliminate the military globally. The military is one of the most rapid consumer of resources. If you got rid the military globally you would immediately get rid of the ecological deficit, that we are running up every year. This is buying us time to set up a better way to live on this planet. Yes, we need globalisation in the heads. We don’t need Mono-culture, but we need to learn how to live together on this earth, how to use conflict resolution in place of military, yes we need a police-force, yes we need laws and courts and that sort of thing. But we don‘t need military. Military is an abnormality. It is destroying our culture, it is destroying our environment, it is destroying everything we want. And it is time to get rid of it. Bertell: I would maximize the health of this beautiful living planet as much as I could and I would say: I give you this with love. Keep it and give it to as many generations as you can. Life can be good. And live is really a beautiful gift. None of us has asked for it. None of us deserves it. It shouldn’t be something that is a disaster for everybody. It should be something enjoyable and that means that we have to do it differently from the way we are doing it now. For most people live is a terrible thing. People are committing suicide, because it is so ugly for them. That is not life. That is not the way it should be. No other species is going around committing suicide like humans. So there is something very radically wrong with the way we are behaving.